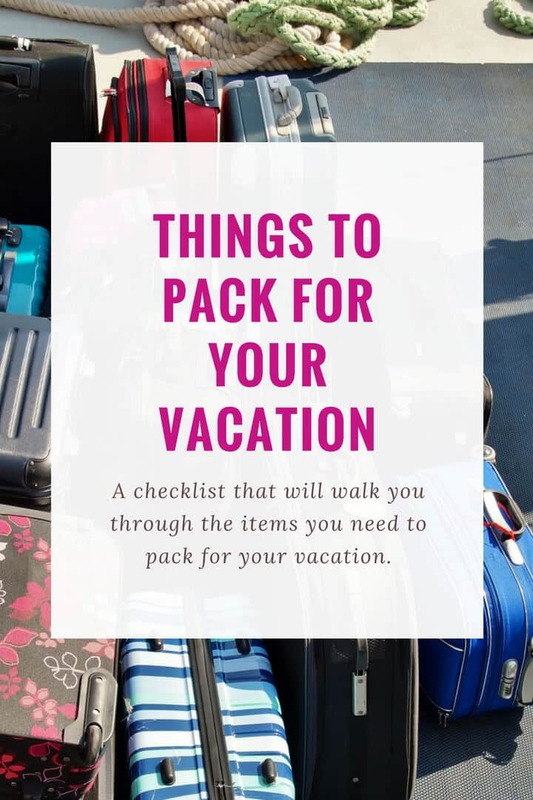 Looking for a comprehensive vacation packing list? Here’s everything you need to carry for your vacation organized by category. 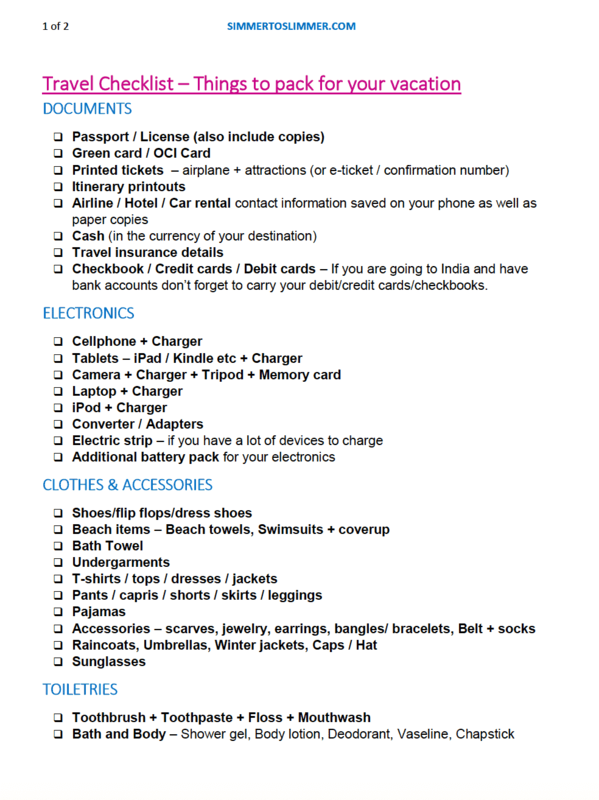 Checkbook / Credit cards / Debit cards – If you are going to India and have bank accounts don’t forget to carry your debit/credit cards/checkbooks. If you are taking an international flight, you might need to pack some additional items for the long haul. Medications: Prescription meds, Fever /Pain reliever / Allergy (Tylenol/Motrin/Benadryl), Motion sickness (Dramamine), Multivitamins etc. Extra clothes – 2 sets for infants, 1 set for kids + adults. Blanket for kids. Extra jacket. Valuables – Make sure to carry your valuables/jewelry in your purse. Pen(s) – to fill those immigration documents. Once you are done packing make sure you review the list of things that you need to before you leave your home. For a downloadable version click here.